You've probably heard by now that the new tax reform bill will hit your paycheck as soon as February. But the change may not accurately reflect your ultimate tax bill. About 90% of people will see more take-home pay, according to the U.S. Treasury. That may sound like great news, but here's the problem: There's a chance you'll end up with too much money in your paycheck -- meaning you'll either be stuck paying it back at tax time next year or get a smaller refund. There's also a possibility that too much will be withheld, and your paychecks will be smaller than they should be. Figuring out how much to withhold from your pay is always a bit of a guessing game. It's an estimate based on how you filled out your Form W-4 and calculation tables created by the IRS. That's because the IRS has updated the calculation tables, but not the Form W-4. "We've done the best we can in the short term to come up with tables that accurately reflect the tax liability of individual taxpayers. Going forward, in order to be more precise, we're going to need a new system," said a senior IRS official on a call with reporters last week. A new Form W-4 won't be ready for the 2018 tax year. The new calculations were made to work with the existing form, but the form factors in some deductions and credits that no longer exist or have been changed under the new law. For most people, the amount withheld throughout the year is usually more than your actual tax bill -- which means you get a refund after your file your tax return. If not enough is withheld, you end up owing money to Uncle Sam. Generally, you want to get as close as possible to breaking even. Those who claim a large number of allowances based on their number of dependents, or on itemized deductions that no longer exist, or are limited by the new law, have the most reason to re-examine their withholding status, said Mike O'Toole, the Senior Director of Publications, Education, and Government Relations at American Payroll Association. The group's members represent 17,000 employers. The good news is the withholdings are within your control. You can always update your Form W-4 to change the amount that's withheld from your paycheck. "I can't say that this particular change is appreciably more difficult than in other years. But what will be different is the time pressure and the pressure from employees, who are going to be more sensitive to this," said Jonathan Zimmerman, a partner at Morgan Lewis, who helps employers with benefit plans and payroll matters. Don't expect your employer to advise you on whether you should change your allowances on the W-4, though. 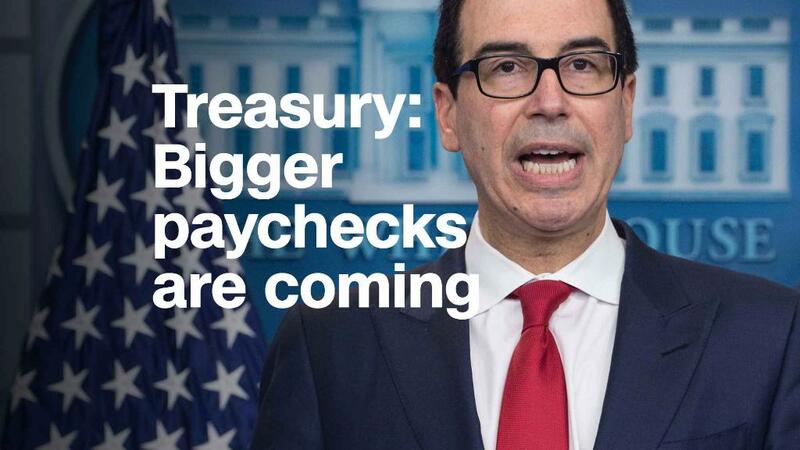 Employers should explain the uniqueness of the situation to workers, communicate when the new rates will be implemented, and then suggest consulting with a tax adviser, according to Mike Boro, a partner at the accounting firm PwC. Wait for your first paycheck that accounts for the new withholding tables before making any changes, said Barbara O'Neill, a CFP and a financial management specialist at the Rutgers Cooperative Extension. But you can also try to estimate your 2018 tax liability yourself. Then divide that amount by however many paychecks you'll receive this year. "If the math is close, hang tight," O'Neill said. If the math is way off, that's when you'll want to make a change to your Form W-4. You can make a change to the number of allowances you've selected, or you can simply change your allowances to zero and write in how much you want withheld exactly, O'Neill said. The changes don't need to be made immediately. O'Neill always recommends taking a look mid-year. By then you'll know if you are receiving a raise or if you'll have additional income coming in during the year. If too much is withheld, you'll simply get a bigger refund check after filing your 2018 taxes. This amounts to an "interest-free loan" to the government until then, and could tighten your cash flow, said CFP Jim Guarino.